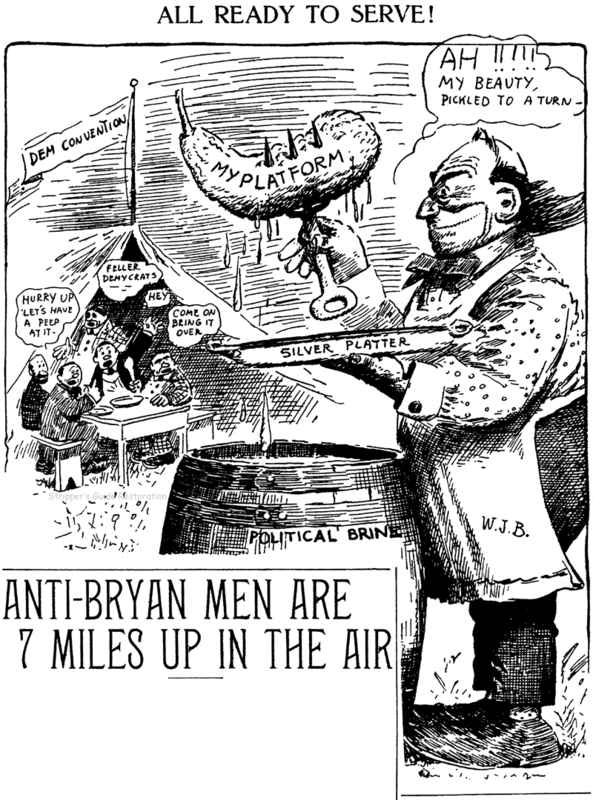 Monday, July 6 1908 -- The Democratic National Convention has convened in Denver, and it looks like there is very little opposition to the idea of running William Jennings Bryan for yet a third attempt at the presidency. He is the by far the most well-known face of the Democratic Party, after all, so the Dems hoped that the third time was the charm. The headline (...7 Miles Up...) referred to the opposition delegates being so far in the minority that in addition to being a mile high in Denver, their seats at the convention were considerable farther up in the nosebleed sections of the grandstands.